Hi kids, or should I say, children? Another Monday, another film club, and another interesting and unexpected film choice – we’re all so open-minded! Unlike the majority of the characters in Lucy’s film choice. 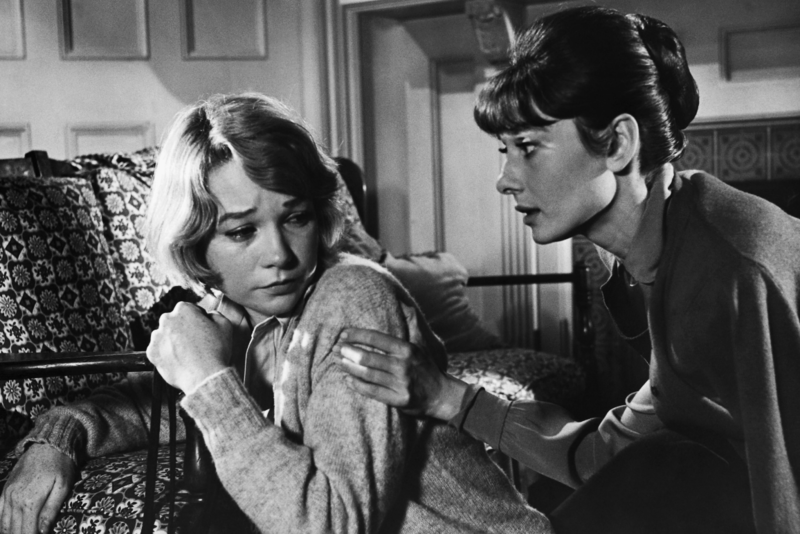 The Children’s Hour, which starred Audrey Hepburn and Shirley MacLaine, was originally released in the UK under the title The Loudest Whisper. The film is set in the early ’60s and tells the story of Martha and Karen, two friends who have worked hard to establish a boarding school for girls, only to have it brought down by the malicious lies of one of their pupils. Mary, a naughty bully, exacts revenge on the teachers after being punished by them, by telling her grandmother that they are in a lesbian relationship. The horrified woman tells all the parents of all the other girls, and all the pupils are rapidly removed from the school. Karen and Martha’s lives fall apart, and the film ultimately ends in tragedy. 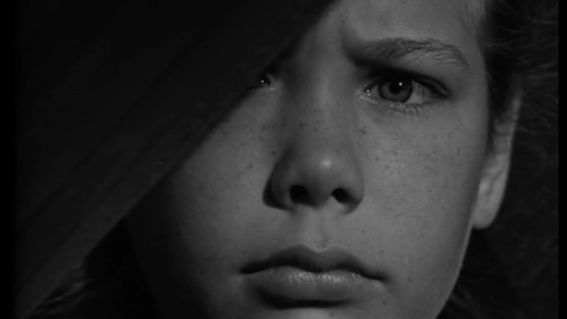 The other major child’s part in the film was played much more convincingly by Veronica Cartwright, who went on to feature in over 100 different films and TV series, including Alien and Flight of the Navigator (love that film!). Of the two lead actresses, Audrey Hepburn needs no introduction. Interestingly The Children’s Hour was released in the same year as Breakfast at Tiffany’s, Hepburn’s most famous film. However, some of you might be less familiar with Shirley MacLaine. Interesting facts about her are that she is Warren Beatty’s sister, an Oscar winner, an author and a radio presenter! Some of the fascists saw her in The Apartment at an open air screening at Somerset House earlier this year. The all-knowing interweb claims that the title for the play is taken from a poem by Henry Wadsworth Longfellow of the same name. I’m not sure if that’s true, but I will leave you with a couple of verses from the poem that I think fit the film’s themes of whispering and plotting, and hidden love.